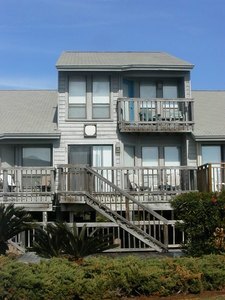 I just put this new St. George Island listing on the MLS (Multiple Listing Service) for our area. 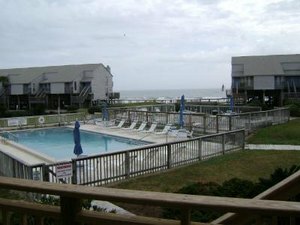 It is a two bedroom, two-and-a-half bath townhome in the Three Hundred Ocean Mile complex on the East End of St. George Island, and is nicely maintained and updated with new paint, new railings, and new carpet. It has an absolutely killer view, out over the pool and to the Gulf. It is professional managed for the vacation rental market right now, and is a popular choice for vacationers. The owner and her family also enjoy using it as their getaway spot on St. George. See more details via the Property Search button above, MLS #209187. 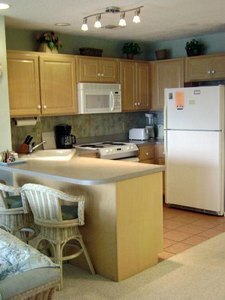 There are 10 other townhomes in this complex currently for sale, one and two bedrooms, gulf front and pool front. Asking prices run from $295,000 (one bedroom) to $550,000 (two bedroom, gulf front). But, my client's is *really* a nice one :) - so check it out!